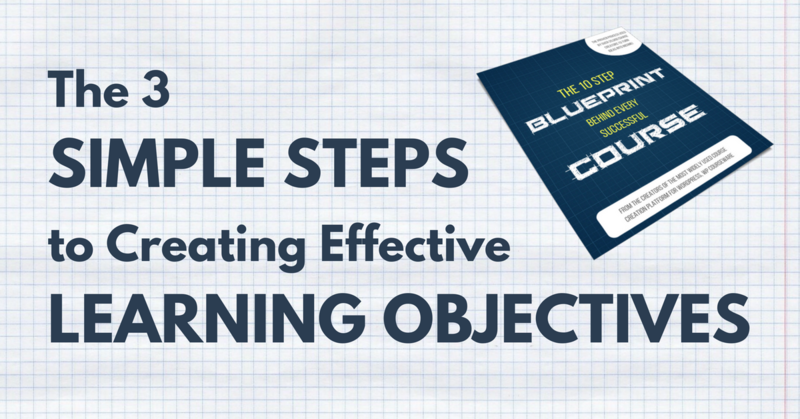 Creating effective learning objectives is critical to creating an online course that produces results...and sales. 1. Step 1: Identify who you're teaching. 2. Step 2: Identify precisely what your student wants to know. 3. Step 3: Identify what your ideal student already knows. If you’ve read Steven Covey’s wildly successful book The 7 Habits of Highly of Highly Effective People, you’ve heard this statement before. It’s the second cornerstone habit in the book and it’s based on the simple principle that all things are created twice. Once when you visualize them and once when you build them. They created the outcomes that their customers wanted. And while that’s a simple statement, achieving it is anything but. However, if you’re able to provide your customers with the outcome that they wanted when they reach the end of your online course, they will become a word-of-mouth marketing army, selling your course to their friends and family for you! But how do you nail this one? How can you build a course which is sure to deliver the value that your paying customers expected? As with all elements of a successful course, it requires proper planning. In this article, we’ll look at the basic 3 step process which you can use to set learning goals for your students and get them there as quickly and efficiently as possible. Step 1: Identify who you’re teaching. My daughter absolutely loves to bake. It’s become a real problem in our house. How am I supposed to resist a constant barrage of butter cream frosting and French macaron experiments coming from her test kitchen? She has also recently caught the entrepreneurial bug from me, so not long ago she came to me to ask for help building a website and a YouTube channel. Apparently, she had been keeping a notebook full of recipes that she’d been perfecting and wanted to find a way to begin sharing stories of her successes and failures. Who will you be talking to in these videos? A bit bummed out that we weren’t going to immediately start setting up lights and tripods in the kitchen, she grabbed her notebook and headed upstairs to her room for the rest of the evening. The next morning at breakfast I asked her if she could answer my question. I was shocked at her answer. "I want show kids 14 and under how to ask their parents to include a small number of items on their weekly grocery shopping list and then use those ingredients to prepare a meal for their entire family in 30 minutes or less." Needless to say, we started setting up lights and tripods in our kitchen that evening. Before you begin creating an outline for your online course, you need to be able to get that specific as well. Identifying who you are teaching will create the lens through which all of your course content is created and delivered. Why do you need to know your ideal student? It’s simple. To create the most effective lessons possible with the fewest steps possible. We’ll get into this more in the following steps as well. It’s easy for a lot of course creators to skip this step and just assume that they know their ideal customer. But you shouldn’t. When we advise our clients on this particular step, we have them pretend that they’ve already launched their course to hundreds of paying customers, that those customers have completed the course, and that they’ve become raving fans who are thrilled with the course’s outcomes. We then ask them to pretend that they happen to be visiting a city in which one of the students they’re most proud of lives and they want to take this student out to coffee to learn more about who that person is. They then begin asking the student questions. How did you fit in time for this course? How much time per day did you spend on the course? Where did you do most of your coursework? What device did you use to do most of your coursework? What were your habits like as you worked through the course? Did you have any hacks or tools that you used to study more effectively? What pain point or problem did you want to solve? Why did you make it a priority to solve that pain point or problem? On a scale of 1 to 10, how important was it to you to solve that pain point or problem? Did the course solve that pain point or problem? Did you leave the course feeling that anything was missing? Will you continue to take courses on this subject? What would make you feel that you have mastered this subject? What impact will mastery of this subject have on your day to day life? By thinking through these questions with your imaginary “ideal student”, you can then begin to understand who you’ll be talking to when you create lessons for your course. Step 2: Identify precisely what your student wants to know. One of the biggest mistakes we see made when people create their first online course is adding too much “fluff”. It’s safe to assume that if you’re planning to teach a particular subject, that you’ve spent years accumulating knowledge of that subject. This makes it easy to go down the path of providing every detail and every reason to take a certain action or execute a specific task. But this also has been proven to lead to lower learning retention rates and more students losing interest in a course before they finish it. We don’t want this to happen with your course. And the solution is actually quite simple…use the least number of steps possible. In the YouTube age, our attention spans are shorter than ever. If we’re seeking information, we want specifics as quickly as possible. If we want to find out which city is hosting the 2020 summer Olympics, we don’t need to read 10 years worth of meeting agendas from the city selection committee. We just want to know that it’s in Tokyo. People want answers as quickly as possible. If you begin with the answer in mind, you can work backward using the fewest number of steps possible to explain that answer. 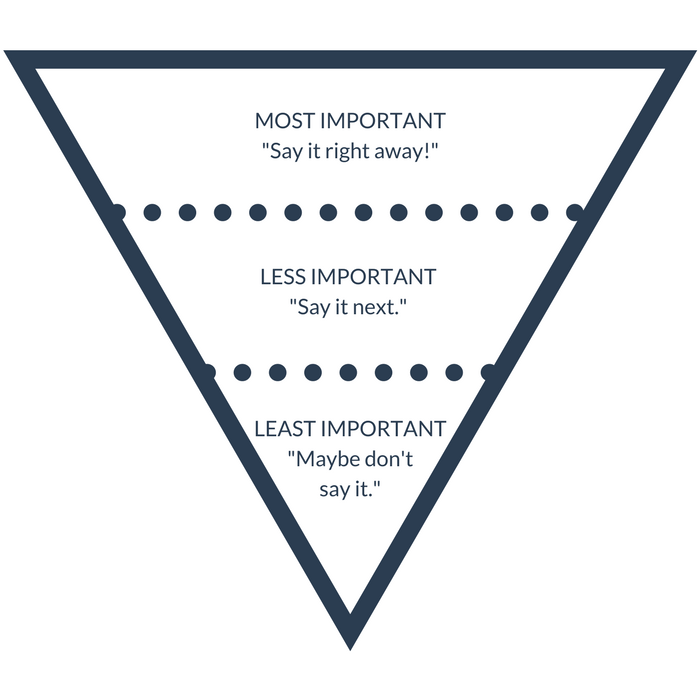 In journalism, it’s common to use an inverted pyramid known as the progressive disclosure technique. Sometimes you do truly say it best when you say nothing at all. Once you have determined the specific skill that your course needs to teach a student, you can write out each step critical to mastering that skill and you can then apply this technique or pyramid to each step. As a very basic illustration, let’s assume that I’m teaching a course on how to change a car tire. The second to last step in changing a car tire (prior to lowering and removing the car jack) is to tighten the lug nuts. When tightening the lug nuts, a specific pattern should be followed to ensure that the wheel rotates properly and safely without any parts coming loose on the road. But since I want to reinforce why this step is important to encourage my students to properly follow the pattern without skipping it, I would want to provide some brief content on what the implications of not following this pattern are. However, my students don’t need to know the results of the National Highway Traffic Safety Administration's 2012 study on 500 passenger vehicles which discovered the 10 automobile designs which led to the highest number of loose lug nuts on factory installed spare tires. If I do, I’m holding them back from a small win that builds confidence and momentum with useless details which would just overwhelm them. Step 3: Identify what your ideal student/customer already knows. We need to meet them where they are. This is another problem area for new course creators. The first few lessons of your course will set the expectations which your students have for the rest of the course. If your initial lessons are filled with unit upon unit of basic, rudimentary information that doesn’t excite, challenge, or show your students something they didn’t know before signing up for your course, that first impression will be that they’ve wasted a bunch of money. But since you’ve been through the first two steps of this process (identifying your ideal student and creating a list of critical steps to mastery), you’ll have a pretty good feel for what steps you could eliminate. 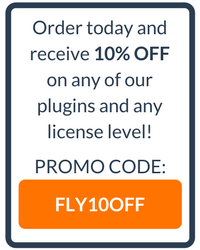 This is going to depend entirely on how you market and sell your course. What are you creating and who is it for? Going back to the example above of my daughter’s blog and videos, she is going to assume that her viewers/readers have spent enough time in the kitchen to know how to set the temperature on an oven or use measuring cups. With that in mind, she can dive right into what ingredients are needed, how much of those ingredients, and techniques specific to properly making the dish that she’s teaching. This is why it’s important to understand where your students are. You should be trying to pick up right where their study or practice of a specific subject likely last left off. I say likely because you can’t be everything to everyone. However, you can get within a few lessons of that “leaving off” point. And don’t be afraid to start small. We have hundreds of clients who began by creating tightly-focused “intermediate” courses and after finding success, they began catering to other ends of the spectrum with small beginner and advanced supplemental courses. It’s a great way to create multiple income streams and cross-sell new products to your customer list! Again, it’s easy to go straight from validating your potential course topic to excitedly jumping into creating your course content outline. But I assure you that taking some time to think through these three steps will help you produce a more effective course and, subsequently, have happier customer paying for your course who will help you spread the word among their friends and family members. You’ll also have worked through some critical questions which will be helpful later on when it comes time to produce, price, and market your course. You’ll know who you’re marketing it to, who can afford it, how much spare time they have, how important it is to them to learn what’s in your course, and where to advertise your course.